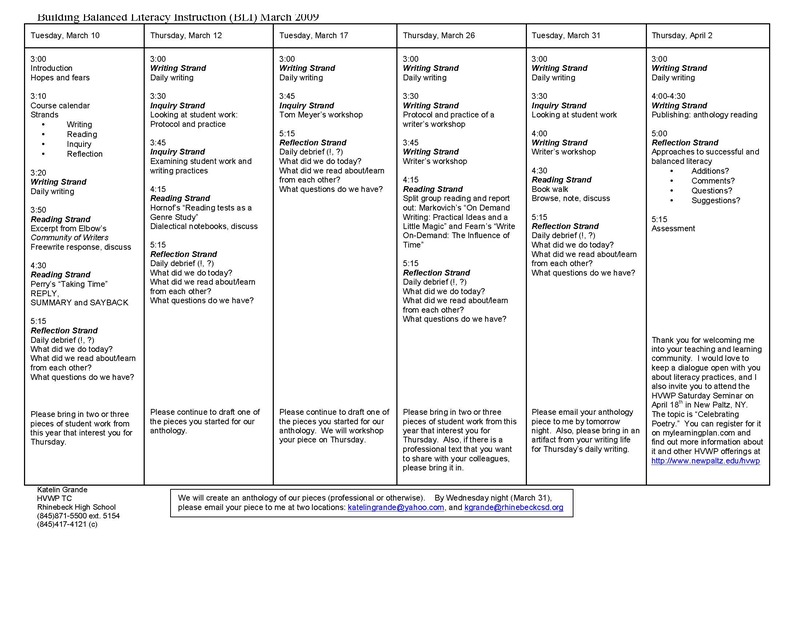 Summary: This blueprint/plan for a multi-day professional development series was created by teacher-consultants from the Hudson Valley Writing Project. Along with illustrating how reading, writing, and inquiry strands were designed strategically for the series, this plan also serves as a calendar for teacher-participants and includes time considerations. 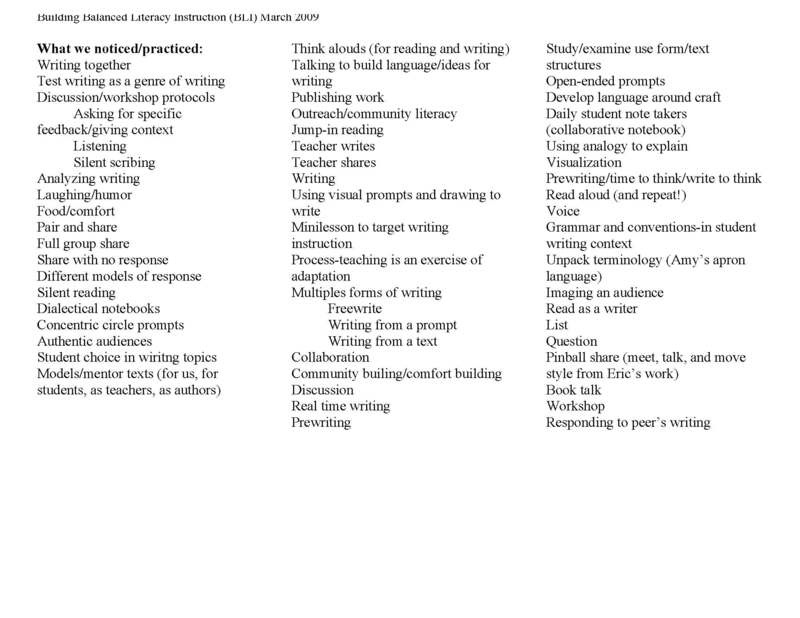 The second page includes a list of literacy topics that the group explored, another document that was shared with participants.